exchange has started to give its way to electronical shopping through computers. markets which works as retailers and have thousands of kinds of products. reasons for virtual shopping of food, cleaning and personel care products. ISNAD Candan, Burcu , Kurtuluş, Kemal . "İNTERNET KULLANICILARININ GIDA, TEMİZLİK VE KİŞİSEL BAKIM ÜRÜNLERİNDE SANAL ALIŞ-VERİŞ YAPMA NEDENLERİNİ BELİRLEMEYE YÖNELİK PİLOT BİR ARAŞTIRMA". 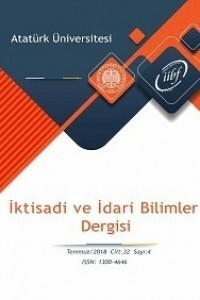 Atatürk Üniversitesi İktisadi ve İdari Bilimler Dergisi 17 / 1-2 (November 2010): -.